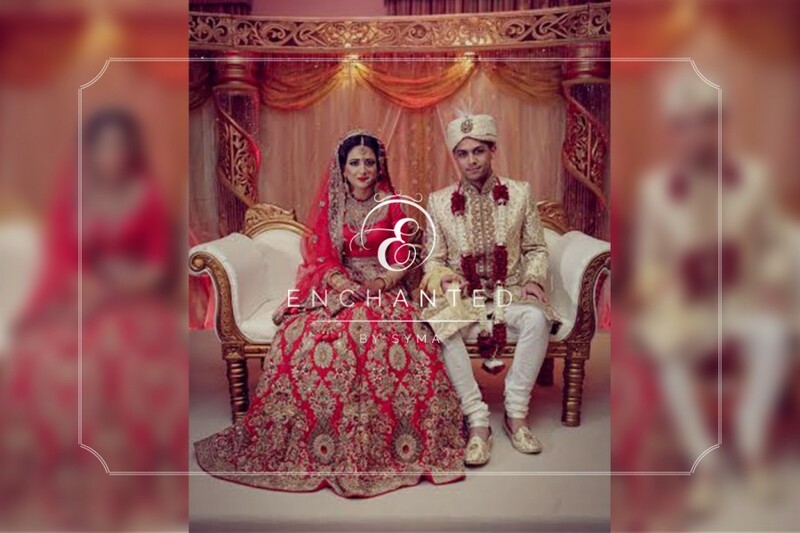 Weddings are the most important day of a couple and their families, making it memorable is something Enchanted strive to do. Every little aspect matters from the finer details to the most obvious ones. 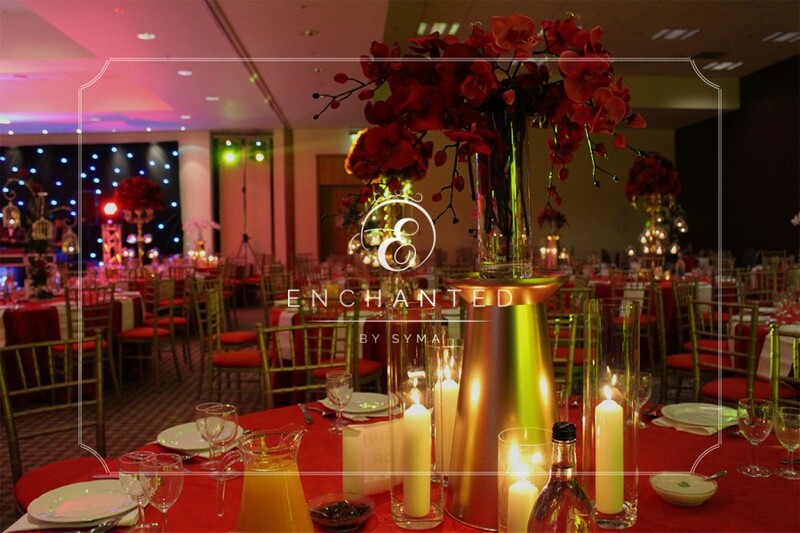 Creative lighting added to the venue, creates amazing ambiance. It can completely change the overall look of the venue and combined with the right company such as Calibar, you cant go wrong. 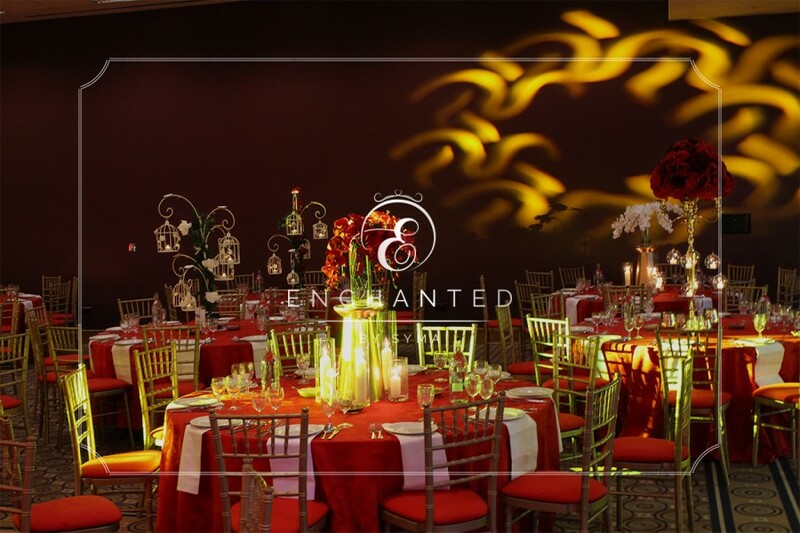 Glamorous colors such as red and gold are always so bold and striking and looks stunning when combined. 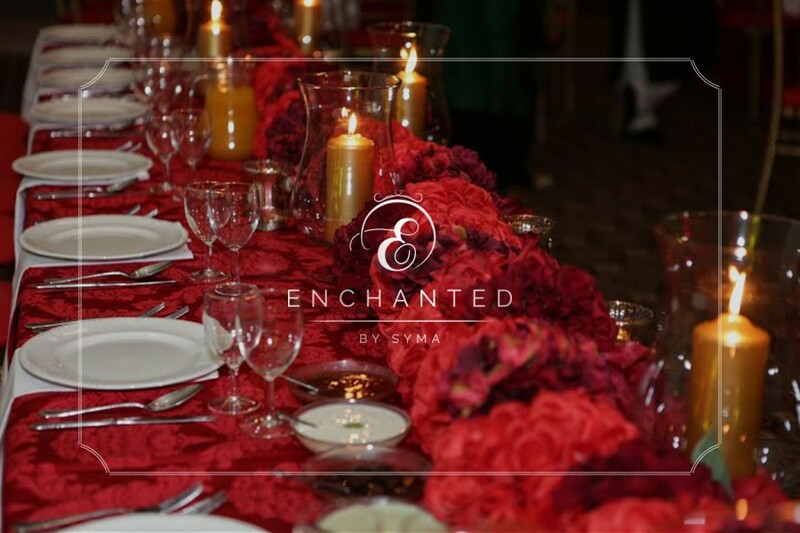 Enchanted created some new pieces from our orchid waterfall centerpiece, to our gold candelabras with glorious red rose floral arrangement. 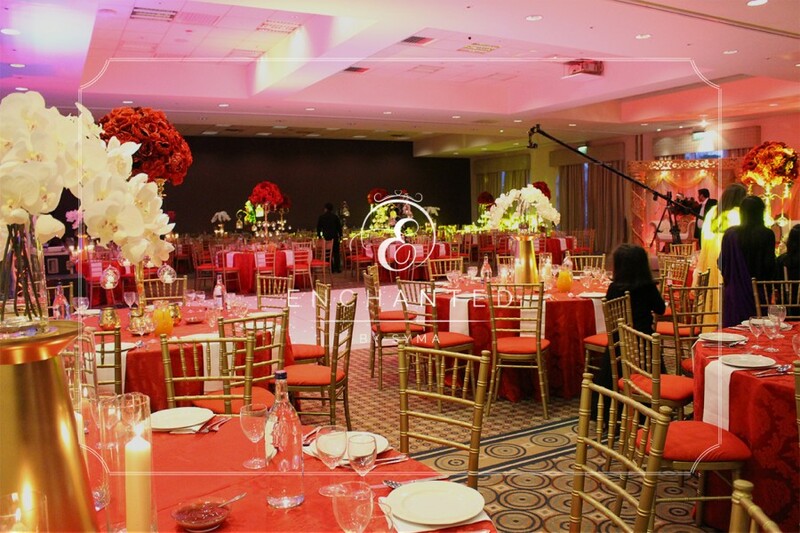 To complete the look with red luscious table linen and gold chivari chairs with red pads. 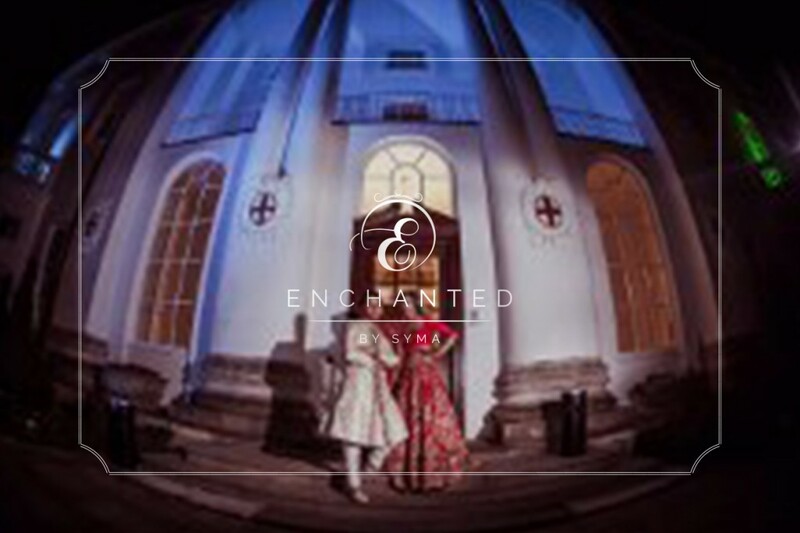 Enchanted love fabulous themes & new ideas and for our special couple Khafil & Sabha to book us for both of their events, giving 2 completely different looks shows how versatile Enchanted really are.